Where should online analyzer be placed for cement quality? Accelerating ScienceAdvancing Mining / Cement / Where should I place an online cement analyzer to help ensure consistent raw material quality? Cement plants must monitor and analyze their raw material quality to ensure stable process operations, minimize production costs and meet product specification. But does it matter where these online cement analyzers are located in the cement production process? Each plant is different and each has unique challenges and requirements. In general, it is good to start by reviewing the use of an online analyzer to control the raw material quality within a pre-blending stockpile. In this application the online analyzer is located after the primary crusher but before the pre-blending stockpile. Here the analyzer will monitor material in process from mining operations. If there are adverse materials found within the quarry deposit such as magnesium, alkalis, high sulfur, etc. an online analyzer can provide the immediate feedback needed to identify and avoid those materials. As well, using an online analyzer to keep a pre-blend stockpile at target chemistry, while at the same time minimizing chemistry variations throughout the pile, ensures an optimized pre-blend reaches the raw mix proportioning station. Using this strategy, a reduction in the use of higher cost additives later in the process may be realized as well as a reduction in material variability at the raw mill. However, many times the most benefit can be achieved through the application of the instrument at the raw mix proportioning stage within the process. Here the analyzer monitors the process by providing high frequency analysis and automatically adjusts raw material feed proportions. 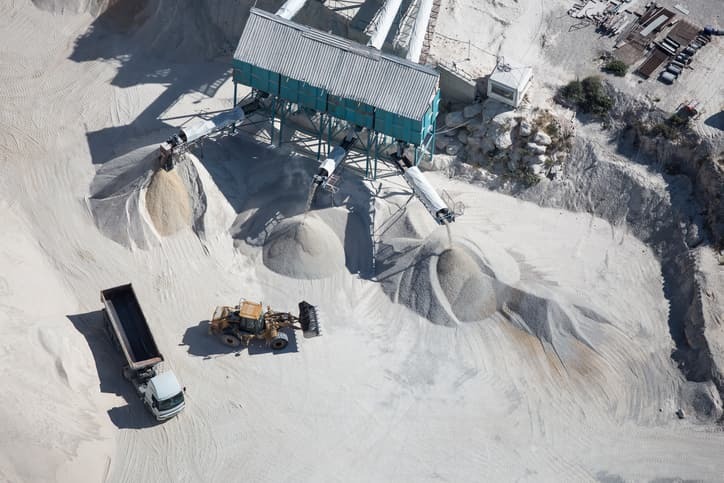 When considering where to place an online analyzer, discuss key application parameters and process goals including stockpile blending, sorting, raw mix proportioning or any additional installation locations with the manufacturer’s representative or application specialist.